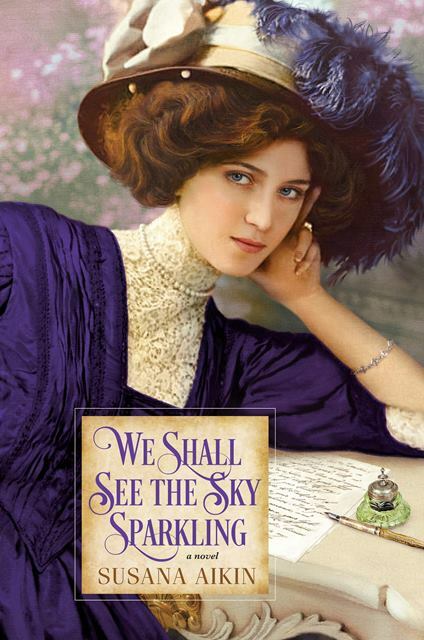 Set in London and Russia at the turn of the century, Susana Aikin's debut introduces a vibrant young woman determined to defy convention and shape an extraordinary future. Like other well-bred young women in Edwardian England, Lily Throop is expected to think of little beyond marriage and motherhood. Passionate about the stage, Lily has very different ambitions. 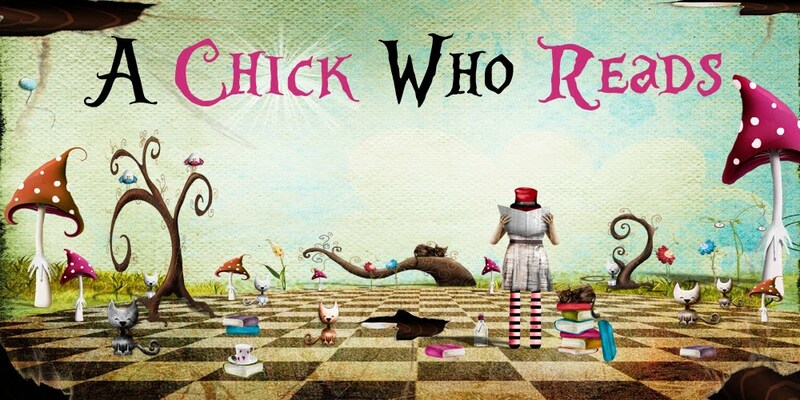 To her father's dismay, she secures an apprenticeship at London's famous Imperial Theatre. Soon, her talent and beauty bring coveted roles and devoted admirers. Yet to most of society, the line between actress and harlot is whisper-thin. With her reputation threatened by her mentor's vicious betrayal, Lily flees to St. Petersburg with an acting troupe--leaving her first love behind. Life in Russia is as exhilarating as it is difficult. The streets rumble with talk of revolution, and Lily is drawn into an affair with Sergei, a Count with fervent revolutionary ideals. Following Sergei when he is banished to Vladivostok, Lily struggles to find her role in an increasingly dangerous world. And as Russian tensions with Japan erupt into war, only fortitude and single-mindedness can steer her to freedom and safety at last. 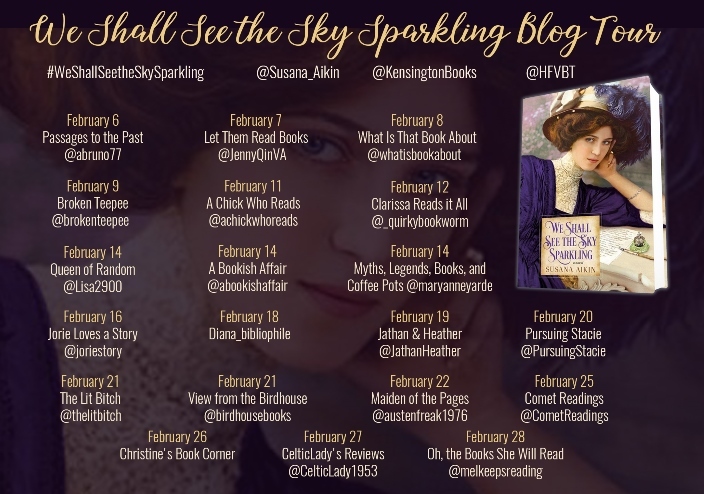 With its sweeping backdrop and evocative details, We Shall See the Sky Sparkling explores a fascinating period in history through the eyes of a strong-willed, singular heroine, in a moving story of love and resilience. Born in Spain of an English father and a Spanish mother, Susana Aikin is a writer and a filmmaker who has lived and worked in New York City since 1982. She was educated in both England and Spain; studied law at the University of Madrid, and later Creative Writing at Manchester Metropolitan University, UK. 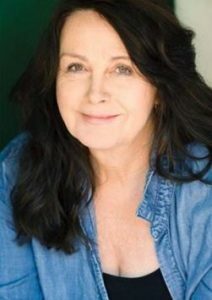 In 1986 she started her own independent film production company, Starfish Productions, producing and directing documentary films that won her multiple awards, including an American Film Institute grant, a Rockefeller Fellowship, and an Emmy Award in 1997. She started writing fiction full time in 2010. She has two sons and now lives between Brooklyn and the mountains north of Madrid. For more information, visit Susana Aikin's website. You can also find her on Facebook, Twitter, Instagram, Pinterest, and Goodreads.